Enlarged cross-section of skin. Relief detail displays acne pustule (pimple) and open comedo (blackhead). 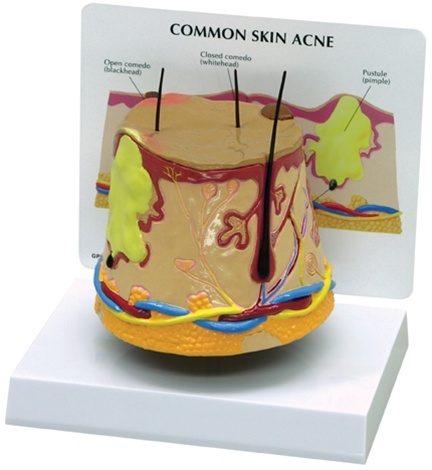 Also, normal skin showing epidermis, dermis and subcutaneous tissue details, with hair follicle, sweat and oil glands, fat and more. Removable patient education card and base included. Size: 4" x 4" x 4-1/2".